Has anything like this hunting story ever happened to you? Here is my grandpa’s story. 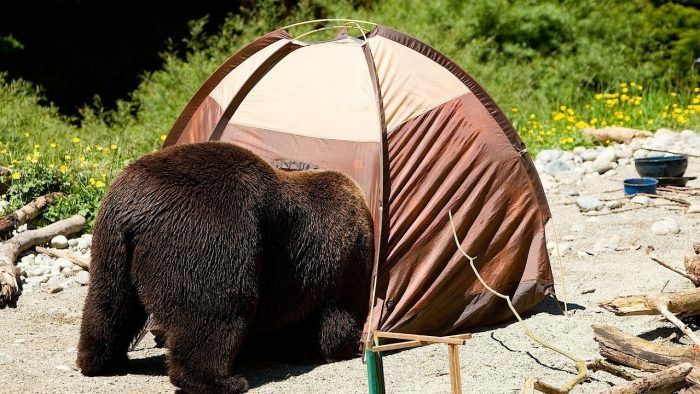 He was camping with a friend of his in Alaska when he woke up to a loud metallic click. He said he waited for a couple seconds lying down and then hear a deafining boom about five inches away from his head. He though he was dead because he could feel something warm running down his forehead and when he reaced back he felt a big furry thing. Turns out his friend had just killed a grizzly that was sniffing my grandpa’s head with his .44mag. My grandpa was mad because his ears rang for the rest of the trip but that was a fair price to pay for his life.